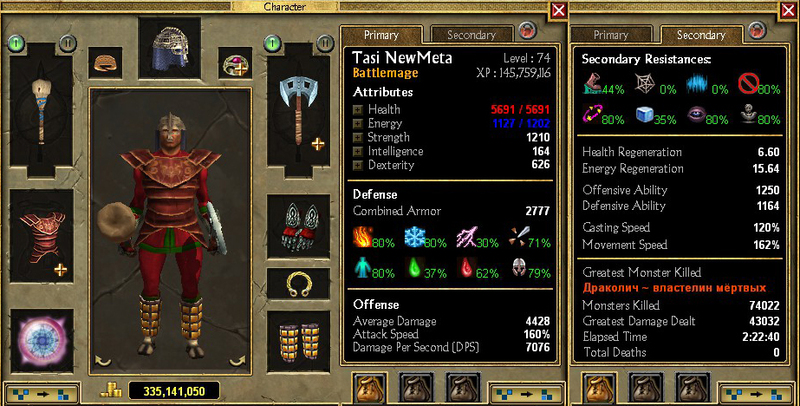 This is a presentation of a battlemage build made as a melee warrior with spells. 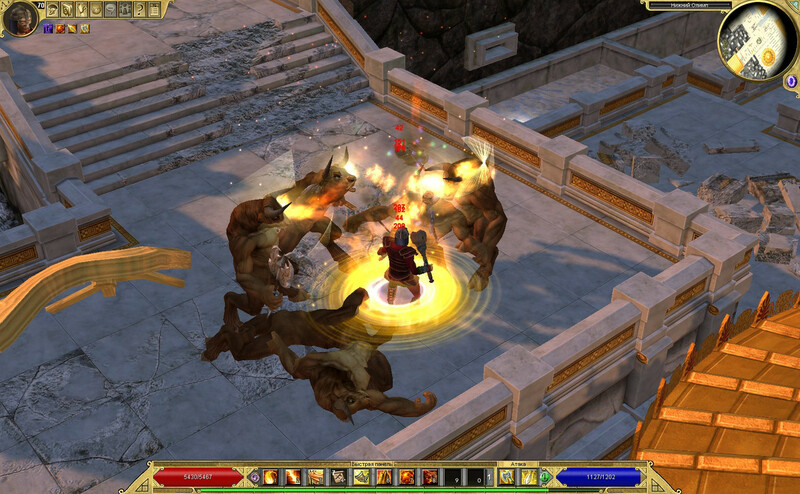 It is strength based and uses physical damage in both spells and attacks. 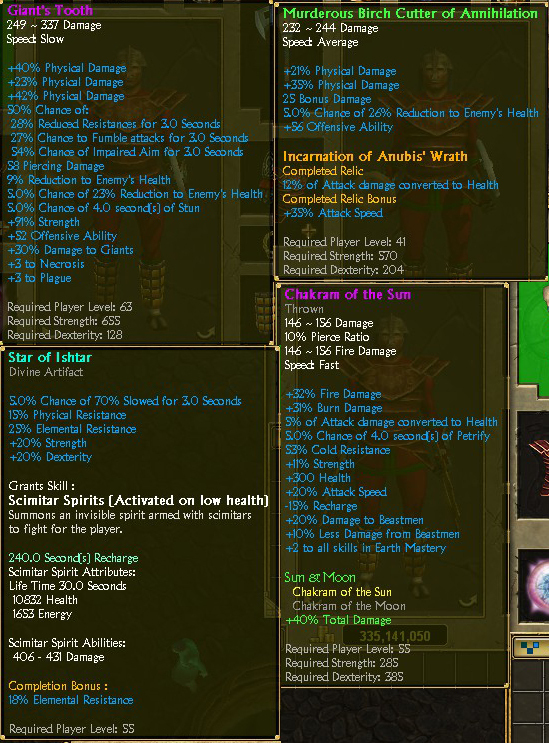 It is possible thanks to Nordic making spell physical damage grow with strength stat. Build uses Giant's Tooth mace (GM). People here seem to dislike it considering it overpowered and I don't quite like it myself, but for a physical caster this weapon is just in place. It might be the strongest physical weapon in the game, however, the only thing it has is damage, lots of it. It does not have life steal, offensive ability or attack speed. Warfare build can use that, but for others it is not automatically BiS, not without extra effort to compensate its drawbacks at least. Build stat distribution is str : dex 1 : 1. So much dex for defensive ability, it isn't strictly necessary, but with my gear choices its more convenient to do it that way. It could be 3 : 2 with more DA items. Battlemages rule late normal and epic, volcanic orb and eruption are extremely effective there. 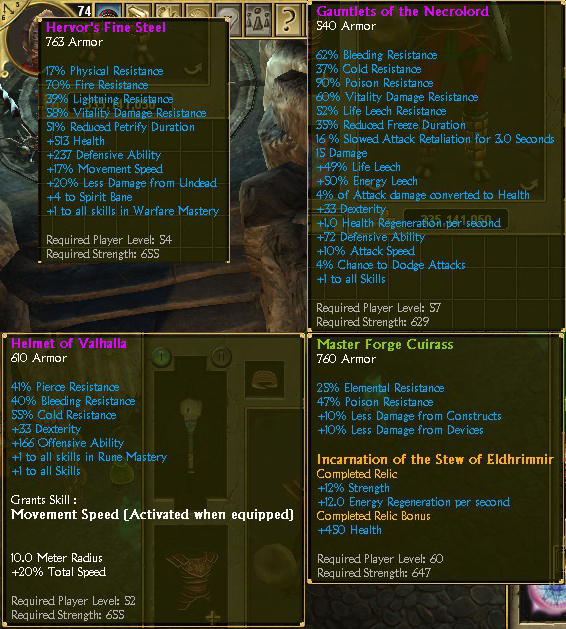 Making them still effective in late legendary requires investing a lot in both %str and %physical damage on gear however. Some physical eruption damage testing with various weapons is here. Battlemage's (obvious) strength is physical resistance, class gets 35% without even trying, and it can be capped with appropriate gear choices, mine is 1% off maximum. Though it looks blatantly OP, it does not make you feel immortal in a way like haruspex projectile evasion and DA did in IT. Biggest reason of this are archers, piercing damage, which are in every corner of every map in this game. They make you still need damage converted to health like any normal melee, which is why I am using just one GT mace (though I honestly have only one too), and a rare weapon with anubis wrath relic. Same rare weapon also helps with attack speed which would be very poor with two GTs. Thanks to physical resistance, very high DA is not necessary - most melee mobs won't even scratch you anyway, dactyls aren't dangerous. Notable exeptions are those with significant non-physical damage on melee attacks, like undead at Zealand shore or Wusao lancers. Another practical application is Secret Passage farming. 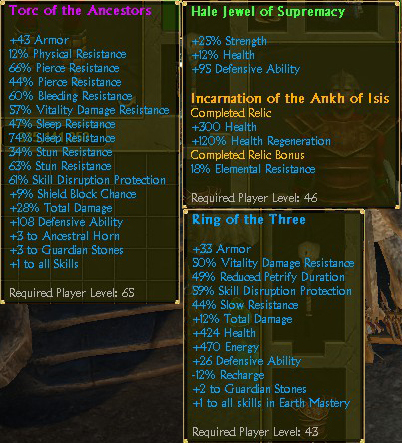 So much physical res makes you highly resistant to your own damage reflected and very well prepared for Toxeus. Eruption can also kill three stinky figures in inaccessible cage without forcing you to swap positions and portaling out. Chest - Master Forge Cuirass with stew of Eldhrimnir relic - this is a Prowler's cuirass for str builds since it comes with 25% base elemental resist, thats 75% base resists (fire + cold + lightning). Worse than prowlers actually in that regard but much better armor. Relic is for mana regen that build needs to cast expensive spells. Head - Helmet of Valhalla - used for +1 all skills and +20% total speed aura, a very valuable stat for any caster wannabes and hybrids since it improves both attack and cast speed. Weapon 2 - common rare axe, murderous of annihilation with Anubis wrath relic - Some %physical and Anubis wrath for life steal and attack speed.